Let down by Marquis again! Re: Let down by Marquis again! I think Dave will remember this, but talking of beds etc, the Innovation we had (see avatar) was a demo van that had been built to demonstrate its capabilities when used in conjunction with disability equipment. Hence when we saw it at a show the rear garage had a disability scooter on board and an electric hoist to get it there. The nearside rear seat (with Mrs SDA knitting for Britain in the avatar) wasn't installed and there was a wheelchair there, clipped in place to two metal tracks in the floor. When we said we wanted that van the dealer said he'd have an identical seat made up on a frame that would clip to the tracks. This was great, although it meant no underseat storage box like the offside had, where resided the electrical gubbins, the boiler and about a dozen bottles of wine. As it happens the seat worked a treat, except, in order to unclip it to reposition it for and after slumber I had to get out of the van as it was impossible to reach the clips from inside. So if it was heaving down with rain muggins had to exit with the side door wide open and unclip the seat, move it forward and clip it back again. Not ideal. Even worse, the swivelled passenger front seat had to be in exactly the right position or the bed wouldn't flatten out properly. Often after a tincture or two I'd forget this vital fact and get most of the way through the bed moving only to discover my error and have to revert to the beginning and start again, thus involving two drenchings outside the van. By contrast Mrs SDA's offside bed flattened into position with the press of just one button. As our ownership lengthened that nearside bed issue became more and more of a bugbear and the desire for a fixed bed became stronger by the trip. Thinking back now, maybe it would've been better to bite the cost bullet and have a proper nearside seat and seatbox installed, though the ability to remove the seat completely did come in handy when the van was used to fetch furniture etc. Where do you all keep the bed toppers ??? 6'2"x2'x27" memory foam ? Or, are the newer beds that much more comfortable ? Permanently on top of the bench seats, in old sheet sleeping bags, underneath homemade loose covers. The duvets are in a Duvalay like cover , rolled like a bolster cushion as a backrest between the bench seat cushion and the seat back and in a long cushion cover to match the loose covers - or a throw would do. At night the duvet is unrolled and put, with attached bottom sheet ( where, if it was a proper Duvalay then the memory foam topper would fit) over the bench seat and then the duvet folds over the top. Very cosy, very quick. Having used Duvalays since 2007 when we purchased them at the P'boro show we love them to bits and find them excellent left out on the twin single beds of our current caravan. But we remember the problem of what to do with them during the day. Rolled up they are enormous and difficult to find a locker for. Left down on a bench, if your van has a suitable bench, they add 3ins or so to the seating height and on some vans that;s enough to have my head banging against the bottom of the roof lockers. In the caravan they are left on the permanent single beds, in my Motorhome it is folded over put in a covered zipped bag and stored in the Luton. easy to get at and put away. takes seconds. Thought I might comment about Marquis Sussex. Bought a brand new Broadway EL Duo in 2015. It is now 14 months old. Lost vehicle to Marquis service dept for 3 months of the 14 so far but it is still not repaired. Some of these faults are from collection. I am winning the worst Autosleeper vehicle of the year award? I don't know spockydog if your the worst winner, I do know that Golden Cross are pretty incompetent at fixing stuff under warrenty. I am determined never to spend a penny with them ever again and am tired of slapdash workmanship on our Benimar. I dread the next round as we have further issues developed and need to get them sorted. Anyone any experience of Southampton Marquis workshop? What can I say: It's not just a A/S and Marquis problem but it could be. I have similar experiences with an Elddiss Majestic bought from Marquis Northants 4 years ago. It pales into insignificance compared to what some folk on here have experienced. We snagged several problems soon after delivery, some would have been present if a good PDI had been performed, some were probably design issues. I can't fault Marquis on their warranty work all these early issues were dealt with, they even collected and returned the vehicle, a 100mile round trip for two people. I guess Elddiss were picking up the tab! My problems are with the attitude at the dealership. Communication is always through front desk staff. You describe the problem and what you think the cause might be. You're given an appointment but you can only have an a.m. or p.m. appointment so that's a day off work. You attend. You're then told this is just an assessment visit and parts need to be ordered. This in spite of you reporting the fault and your own assessment. You attend again, another day off work and guess what it's fixed and, yes, you were right in your assessment. You take the van out for the weekend and another problem arises, surprise surprise it's something directly related to the previous problem either the same unit or an associated piece of kit or furniture. Your suspicion is it was caused on the last visit to the dealer. This goes on for almost 4 years and you give in and trade in. The tactic this time is: Back to A/S, only because they build a similar van that will fit on the driveway and no-one else does. Use an 'old school' A/S dealer that hopefully know how to do customer service. Select a van that's in stock. Crawl all over it and list anything we can see that needs fixing before agreeing the deal, making sure both parties have a copy. Take note of how they work, do the staff interact with each other? Are sales and office staff working together? Are service staff seen in the office area checking with office / sales people, other signs of team working? 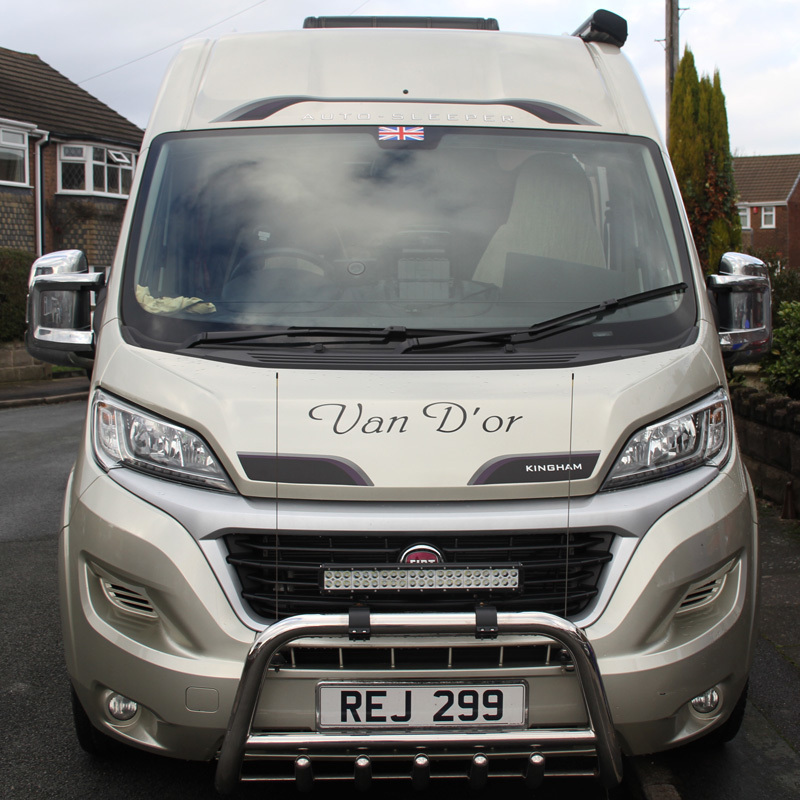 Are you talking to a person with more experience of motorhomes than you? I have 30 years of various vans but they should still know more than I do and be able to answer or find the answer to my questions about a specific vehicle within minutes. Does this person have the authority to do the deal with you there and then or do they have to refer to someone by 'phone? Do they get grumpy when you try and squeeze the deal or ask other difficult questions or do you get a simple professional answer? Are the answers you get straightforward and apparently honest or guarded and evasive? Do they give achievable estimated dates for delivery and do they take the trouble to follow up on the agreement made within a few days of you making the deal to make sure you are still happy, ask / answer question either of you may have, give you an update of delivery target date? When the van is ready be prepared to spend a few hours going over the van again, this time with the supplier demonstrating how things work and checking that they do work, take a test drive to see the base vehicle functions as it should. Only part with your money when satisfied. When you get home run everything in every conceivable way. If units can use multi fuels and single test them all. Fill the water system and check it works, does it hold pressure? If not there's a leak! Next go out and use the van in the real world. I could go on and on and on but I won't. It is all too easy to get carried away with the excitement of a new vehicle. Time spent will, hopefully be repaid. And of course if anything is wrong make a list and return to dealer. For anything other than warranty work go somewhere more local, preferably someone who doesn't rely on selling Vans for their living. Here's hoping the plan works! Feel free to add your own thoughts / advice. Best advice I can think of is sell the motor home you have and never buy another one, sell the house and the car and anything else you possess in the world. Pack your essentials and go live on a cruise liner owned by P&O, it will be less stressful and you can get to see a Dr not need to cook enjoy a varied 1st class meal everyday with a bottle of something palatable. When the money runs out just jump overboard. As you drown think at least Marquis did not get my money. The end. I use a couple of mobile motorhome repairers. Search google for 'mobile caravan repairs near me'.